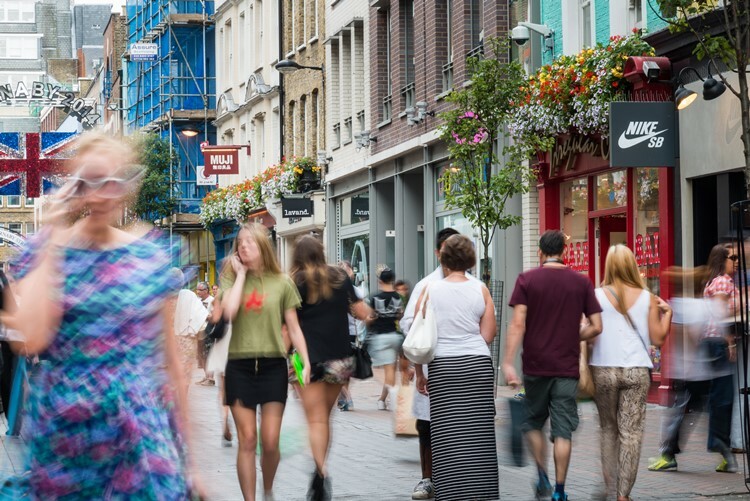 Soho is one of London’s most vibrant, exciting and unique areas with countless places to grab a bite to eat, socialise and wander around discovering new places and things to see. As one of London’s leading areas for entertainment and socialising, Soho attracts a wide range of different people from professionals to students living in London. Soho is a relatively small geographical area in the heart of London, covering just over one square mile. Soho’s borders are generally considered to be Oxford Street to the north, Shaftesbury Avenue in the south and Charing Cross Road and Regent’s Street to east and west respectively. Soho’s name derives from an English 16th century hunting cry “so-hoe” back when the area was open fields and grazing land used to hunt hare. During the second half of the 17th century new building progressed rapidly. This development gained pace after the Great Fire of London in 1666, which created a huge demand for new housing. 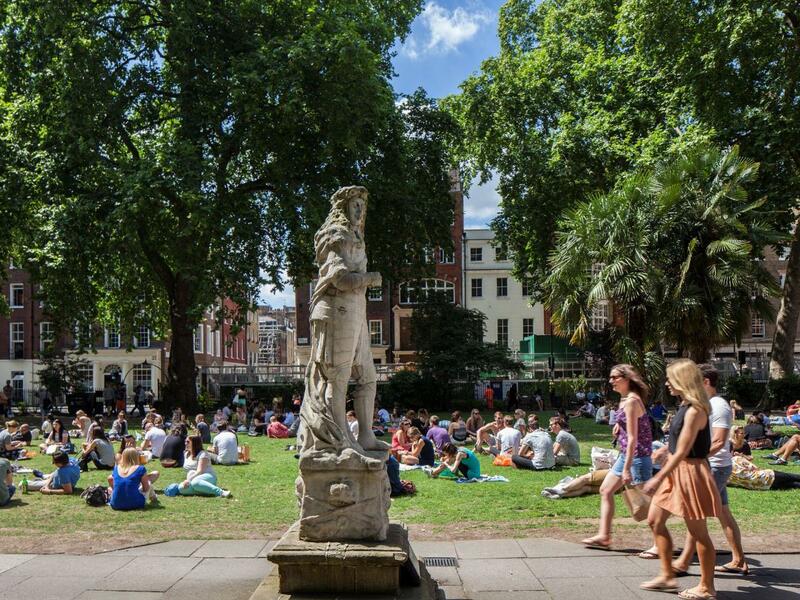 In the 1670s construction began in Golden Square, Gerrard Street and Old Compton Street while Soho Square was laid out in 1681. In the 18th century, Soho became a residential area that rivalled Mayfair and St James’s as a fashionable London address. Large, elegant houses were built by the end of the 17th century and the area still retains a great deal of this original street pattern. Soho’s modern day cosmopolitan nature, with coffee and cocktail drinkers on table lined streets, has its roots in the large influx of different nationalities to the area. 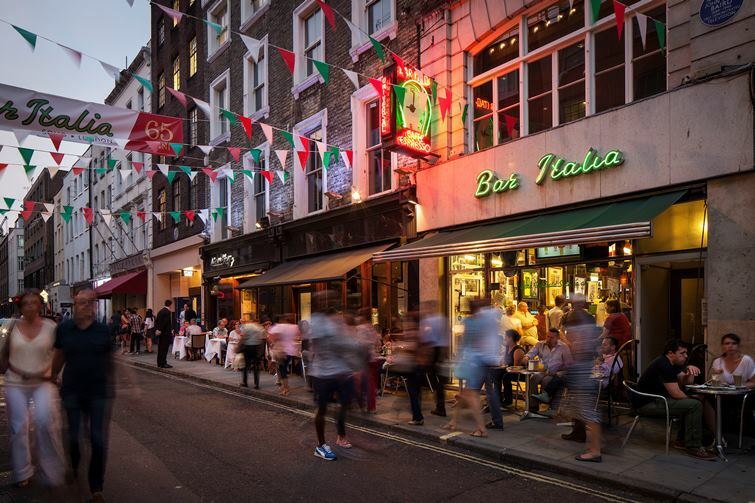 From the French Huguenots in 1685, Italians and Greeks in the 18th and 19th centuries, to the Chinese influences in the 20th century, all have left their mark on Soho’s social scene. Restaurants and bars are numerous in Soho, offering something for everyone; there is a fantastic mix of Michelin starred restaurants such as Arbutus and Yauatcha intertwined with small, independent establishments which give Soho a real community feel. Soho is also home to the world famous Ronnie Scott’s Jazz Club, The Box and G-A-Y; just three of the many venues which have helped cement Soho’s reputation as the place to go out in central London. There are also several theatres showing productions such as Jersey Boys and Singin’ in the Rain, as well as many private members clubs. Soho offers something for everyone, from Michelin starred restaurants to small, independent entertainment venues and bars. Home to many advertising and media companies Soho seamlessly integrates history with the modern day. Soho offers a vast range of property including impressive loft and warehouse conversions that are immersed in history and character. 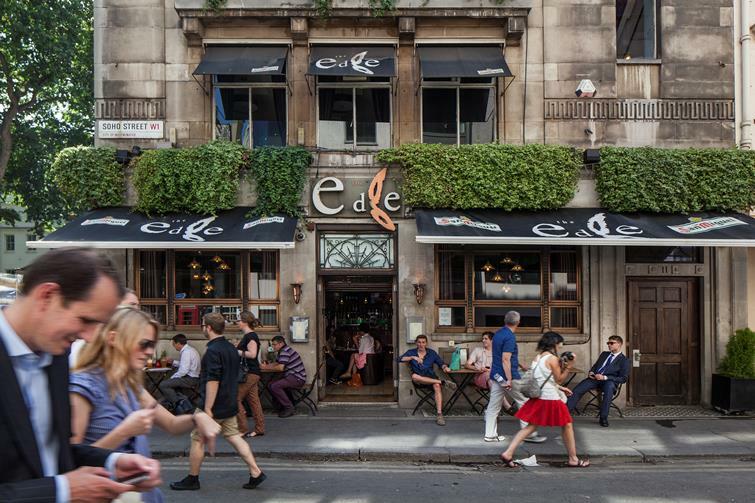 With an eclectic crowd that helps keep the vivacious qualities and friendly atmosphere on every street, Soho is a prime location for London living. 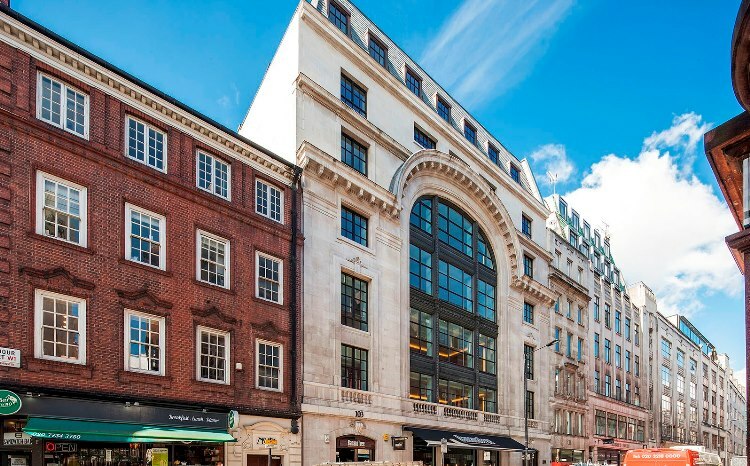 Looking for a property to buy in Soho? Looking for a rental property in Soho?